The MSRT cordially invites all interested parties to join the society. There are many membership categories available. Simply choose one that best suits your individual situation. 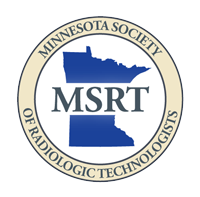 The membership of the MSRT includes registered technologists and student technologists who work in the modalities of Bone Densitometry, Cardiovascular-Interventional, Computed Tomography, Education, Mammography, Management, Magnetic Resonance, Medical Dosimetry, Nuclear Medicine, Quality Management, Radiation Therapy, Radiography and Sonography. These professionals work in many different ways, including staff technologists, managers, educators and commercial sales representatives. Member services and benefits include, but are not limited to, professional publications, educational opportunities, national representation, networking and socializing with colleagues and activities and functions for student technologists. Membership applications are processed by the MSRT Executive Secretary. The Executive Secretary may be reached from the MSRT Contacts web page if additional information is needed. All memberships include electronic access to the High Tension News, the official publication of the MSRT. To apply by mail please download and fill out the membership application below.